After an agonizing wait, the operation was over. There was nothing more that could be done other than watch and wait, so Abi was transferred to PICU at Bristol Children’s Hospital, to be cared for by the specialist team there. We were given a small bunk room in which to rest. It was while cuddling into my husband on the tiny bottom bunk during a break that, for some unknown reason, I recalled an interview I’d heard on Radio 2 only a week before. The topic was organ donation. 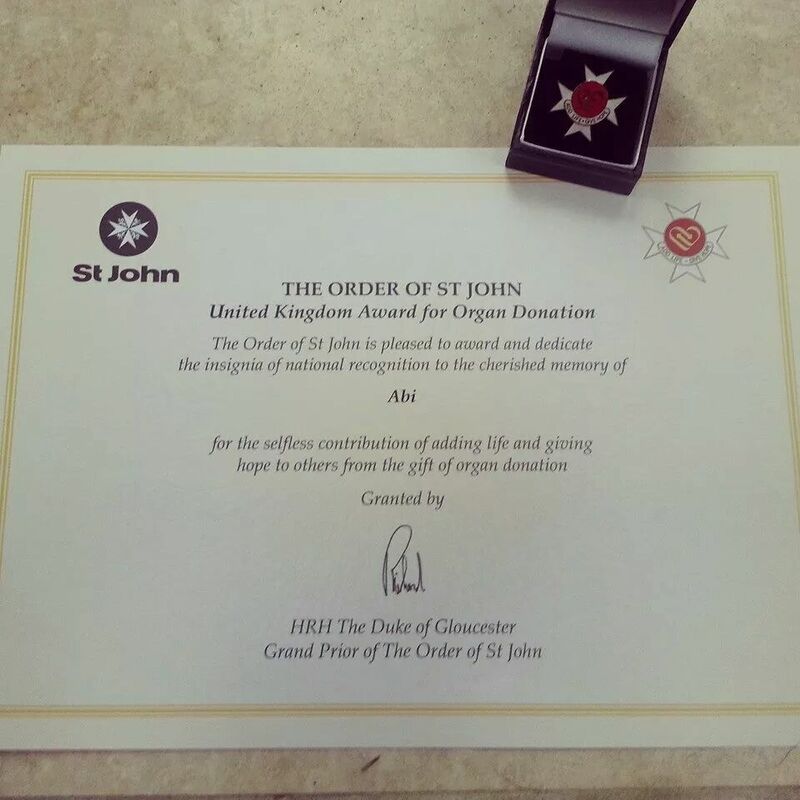 A bereaved mother had called in to say how she took great comfort finding out, in a letter she received a year after her child’s death, that her child’s organs had helped to save a life. We had not had the final prognosis at this point, but even in those difficult, dark hours, I tentatively mentioned to my husband that we may have to consider organ donation. We discussed it in depth, quite sensibly considering it would mean our daughter’s death, and we realised that it was something we believed Abi would want to do. Many people have asked how we could bear to think of something at such a stressful time, not only the fact our daughter was dying but that we were offering ‘parts’ of her to other people, allowing her beautiful body to be cut open unnecessarily. It was an undeniably difficult conversation given the stress we were under, but we knew Abi was a strong candidate for donation. We also kept in mind the mother on the radio and were thinking ahead, of the potential future comfort we’d feel knowing that Abi’s death may have helped to save others’ lives – clawing anything positive out of the most dreadfully painful situation. In hindsight, it would have been far easier knowing what we all thought about organ donation before we were in this position. I have long been on the organ register, my husband wasn’t (he is now) and we had discussed it vaguely as a family in the past. 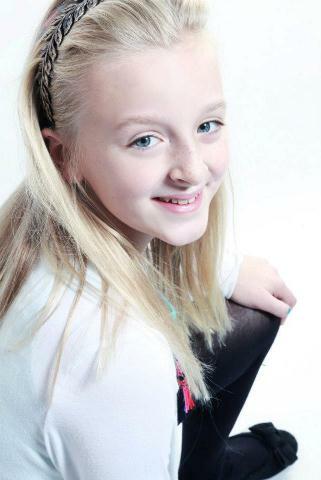 When the consultants finally told us that Abi would not survive, we broached the subject with them. I could tell they were surprised, as normally they are the ones who cautiously suggest organ donation, if they dare to at all (it’s not usually asked when a child is involved). I sensed it was extremely difficult from their perspective; they could see the very real shock and grief, yet in their daily work they know the chances that could be offered to another suffering family. A cruel balancing act. Things began to get a little complicated however, as Abi was still alive on life support and (most) organ donation happens after death. We thought that the surgeons at BCH would simply do the operation at the right moment, but it was far from this simple. Organ transplant team. The organ transplant team from the closest hospitals needed to be contacted and checked if they could get to BCH in good time. Organ transplants are dealt with by specialist surgeons, who only perform transplants. So they remove the organs and then transport them to the next hospital and operate on the recipient to transplant them. We were told it would be likely that London and Birmingham would be able to send a team, but both were at least two hours’ drive away from us. Matching. 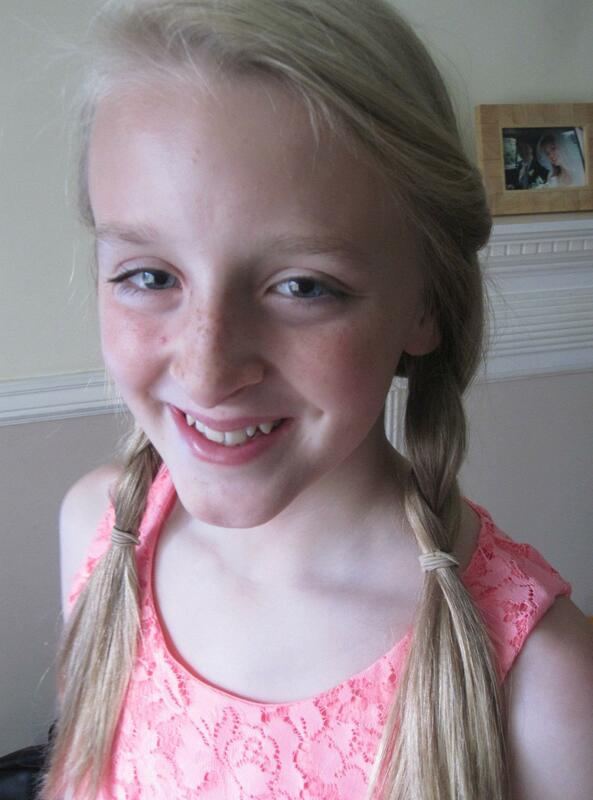 In order to see if there were any suitable recipients for Abi’s organs, we needed to give them a detailed medical record which was entered into a database and sent round to hospitals. She was also measured and checked over very carefully in our presence for any signs of previous operations or anything that might affect the donation. The team was extremely considerate of our feelings during this, but it was still gut wrenching to watch silently while they ‘measured up’ our girl with a tape measure. Organ deterioration. Quite possibly one of the most traumatic aspects of this process is that once the life support is switched off, there is a three-hour ‘window’ when the organs can be used (that is, bluntly, that the donor needs to die within this time in order for their organs to be viable). After this time, the organs would have deteriorated so they couldn’t be transplanted, but it’s a risk the transplant team have to take in every case. So, after everything has been set up, a potential recipient is being ‘prepped’ for their op somewhere else, the special transplant team is all scrubbed up and ready in the operating theatre, they all have to wait to see how long the patient will take to pass away. It’s an utterly horrible thought and something we had to consider carefully at such an emotional time. Time after death. Another aspect, which many people struggle with, is that once death has occurred, the family have just five minutes with the deceased before they are ‘whisked’ off to theatre for the transplant operation. This seemed no time at all! Abi was still alive at this point but we had to ‘think ahead’ and decide if five minutes with her after she passed on would be enough for us. If we weren’t happy with this, the entire process would stop there and then. Considering all these unbearable hurdles, I can understand why many people don’t go through with the process at all. But at every moment the decision was always ours. Even if at the very end we changed our mind, our wishes would be respected. It would be done if possible, but on our terms. The organ donation/transplant team have a challenging job; they are introduced to unfortunate families at highly emotional times, and have to organise and coordinate the removal and transplantation of their relatives’ organs, and ensure the wellbeing of the recipients also. The work they do is wondrous and must be both stressful and fulfilling at the same time. I imagine seeing the transformation of the lives of very sick people every day is what drives them on. I must stress that they treated us and Abi with the utmost respect at every stage. They even shared tears for our loss. Finally, we needed to confirm exactly what organs we did and did not want to donate – the list of organs and tissue a person can donate is quite extensive. We considered everything carefully and made our decision. By the time all the information was entered into the database it was about 10pm; we sat with Abi until about 1am and then went back up to our room to rest, as we were utterly exhausted. The organ donation process delayed the time we could turn off Abi’s life support, as we wouldn’t know until the morning if anyone had been found. Not that we wanted to face the end, of course, but we didn’t want to draw out the most stressful and painful time of our lives any longer than necessary. As we were so very weary, we felt it would be easier to deal with everything after some rest. Out of respect for Abi’s passing and for our sanity in getting through this awful time, we told the staff that if they weren’t ready by about 8am then we would want to give up on the donation process and begin to turn her life support off. 8am was very much Abi’s time of day, always up and about, ready for the day. She was dawn, not dusk. The phone in our room rang at 6am and we were told ‘they were ready’. We knew this meant that the transplant teams were scrubbed and ready in theatre, so recipients must have been found. I trembled as we got ready to go back down to ICU, knowing that ‘today was the day’. I felt nervous and sick. Sure enough, when we got down to ICU the consultant looked relieved to tell us that they had found four recipients – two for the Birmingham team, two for the London team. She’d be operated on at the same time by both teams, who’d remove the organs agreed to them and then send them to their respective hospitals for transplant that same morning. We were relieved we had not waited in vain and the fact that four recipients had been found meant there was a greater chance that it would work for at least one of them. The consultant and the nursing team thanked us sincerely for doing this. I could see it genuinely meant a lot to them all. I guess I should be grateful that things worked out ‘well’ for us. Abi passed away very peacefully as soon as her life support was turned off at 8.55am, with the morning sun beaming through the window as if taking her to heaven. We had our time with her before she was taken away to theatre, but we spent longer with her afterwards in a small bedroom, away from all the wires and machines. She was finally at rest. Going through the organ donation process made me realise quite how many aspects there are to go wrong or which would prevent the donation from going ahead. 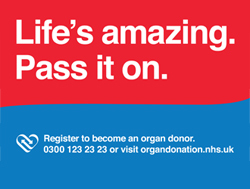 So the more people who are on the organ donation register, the better for the system, as if there are more available organs then there are more opportunities for the surgeons to help save or improve the lives of others – young and old. It’s a horrible thought I admit and no one wants to think about death in this way, me included, but it’s about putting yourself in the shoes of the recipient. If I or my child needed a new liver in order to live, I know that I would accept one that was donated, and be thankful for that person’s generosity. Ultimately, I won’t ever forget that this was our beautiful daughter, our first-born child – we wanted to keep her all, complete – forever! Of course! But, also I felt that I would one day feel like that mother on the radio and be comforted knowing that a part of her would live on in other people and give them, if even for a short time but hopefully a long time, a much-improved quality of life. Abi was always giving and I believe she will continue to give to others in many ways. Life IS amazing. Pass it on. [Note 1: We heard from the organ donation team less than two weeks after Abi died and were given some basic, non-personal information about the recipients. Her organs had helped saved the lives of a woman in her fifties, a teenage girl and two married men in their thirties – all with lots of family and hope around them. The initial operations had been successful and they were all slowly recovering. It was difficult to read the letter so soon after the event, it hit me exactly what it meant, but we also took comfort from it and felt a new sense of pride for ‘our girl’. This entry was posted in Life with grief, Living and grieving, Organ donation, Remembering Abigail and tagged bereavement, coma, dying matters, grief, loss of a child, Organ donation, organ donor, Organ transplantation, transplant by Chasing Dragonflies. Bookmark the permalink. A really informative and inspiring article. Thank you for sharing this personal time in your life. Thank you Rob. I think as a donor family it’s so comforting to hear of people who have been helped so thank you for commenting. God bless you both. Thank you for this amazing and informative article. I have always been a huge advocate of organ donation and know of someone who’s life was saved and she went on to get married and have a baby! I was shocked about the timing issue, and the fact you had just five minutes after death. I had no idea. Also losing a child must be the worst thing in the world. Thank you again for writing this beautiful piece. We lost our sweet Charlie (7 weeks) in March. Due to the time after death, most organs were not able to be used, but we were able to donate his heart valves. It was the one decision that horrible day that seemed “right.” Thank you so much for sharing.